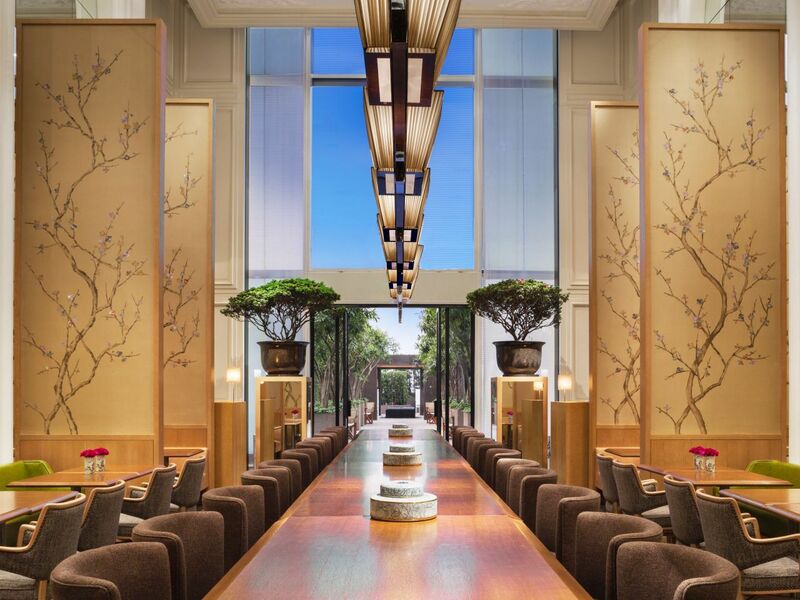 Inspired by the mansions and stately homes of France, Grand Hyatt Chengdu is set to become a renowned Chengdu restaurant. . 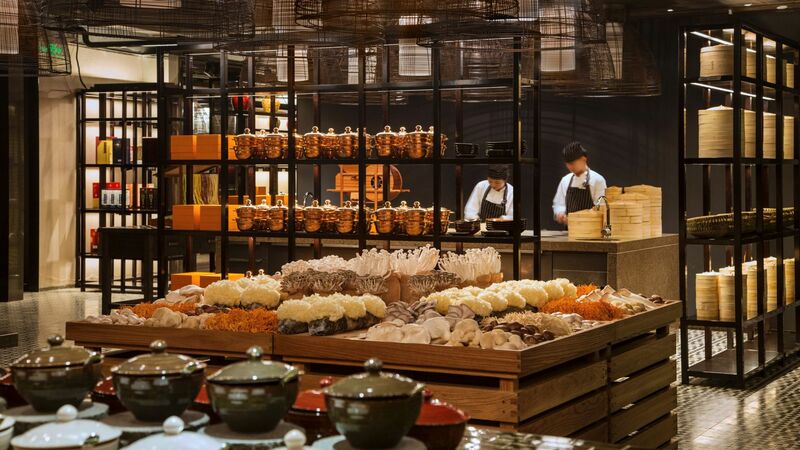 The Chinese Restaurant #8 serves Sichuan’s hot pot dishes, along with other authentic local delicacies, while its “market” theme provides an interactive and engaging Chengdu restaurant experience. 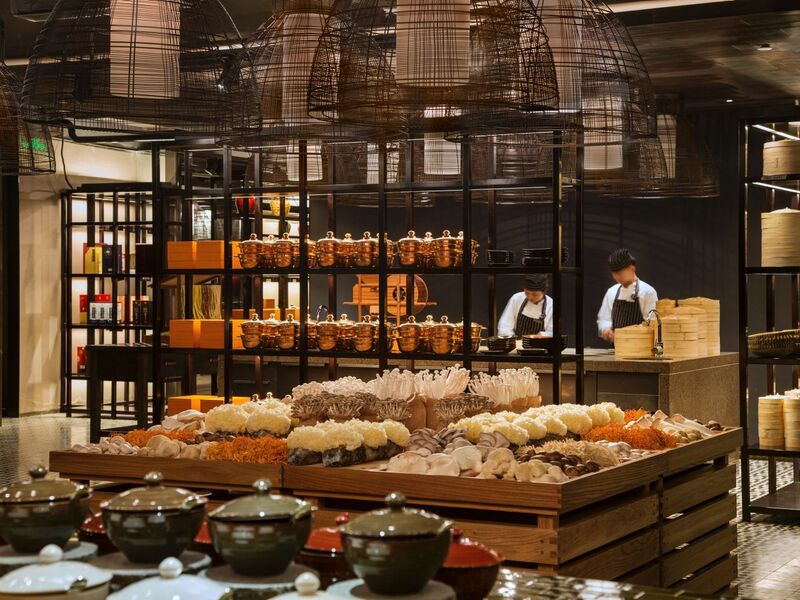 The all-day-dining restaurant Grand Café serves delicious food prepared from a residential-style kitchen, giving guests an exciting opportunity to witness chefs preparing local Chengdu food and international specialties featuring seasonal produce. Dining at Grand Café is described as “eating out of the pan, off the grill and out of the wok.” Steak House is a European-style dining room featuring tableside cooking, serving the finest selection of steaks along with a feast of all-time favorites. 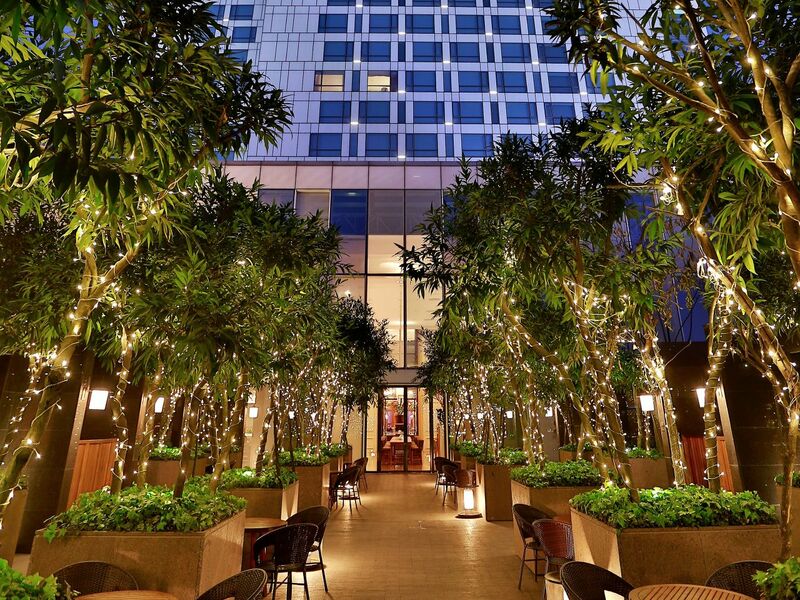 And finally, the Garden’s cook-it-yourself Asian barbecue concept is a way to entertain friends or business associates while enjoying local and popular Asian delicacies alike. All day dining restaurant, Grand Café, serves as the residential kitchen of this French Mansion. 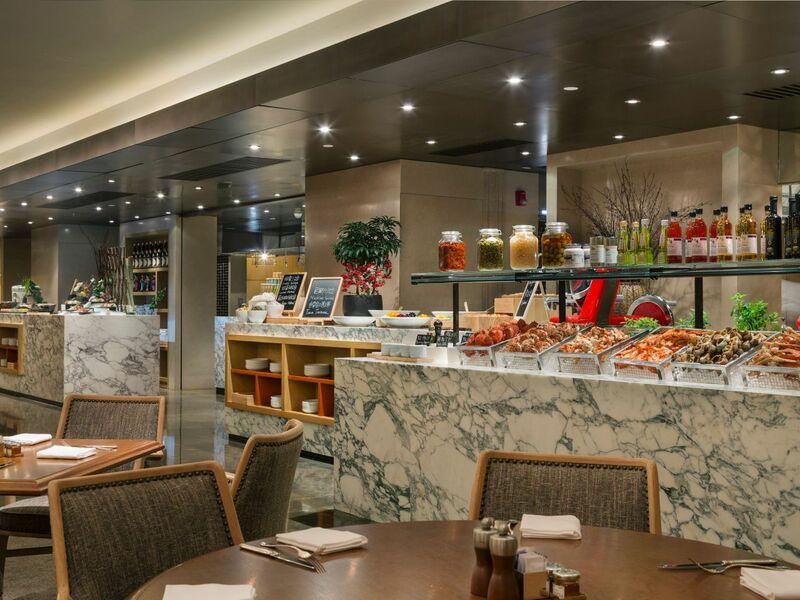 A home away from home, Grand Café transports you to a cozy country kitchen setting. With its rural feel, it’s the place to savor breakfast, lunch or dinner. "Eating out of the pan, off the grill and out of the wok" describes this delightfully elegant restaurant where you will see skilled chefs preparing seasonal, local and international specialties. Encompassing a kitchen, dining room, it provides a single versatile dining space with seating arrangements for both individual guests and groups. # 8, the Chinese restaurant which serves the region’s famous hot pot and authentic local Sichuan dishes. The set-piece feature of the restaurant is the ‘Market’, divided into meat, tank of fresh seafood, vegetables, fruits and dessert sections. Guests enter the restaurant through the market area where they can see the fresh produce being prepared and portioned by our expert chefs. The restaurant’s seven private dining areas and open spaces provide an interactive and engaging Chinese culinary experience. 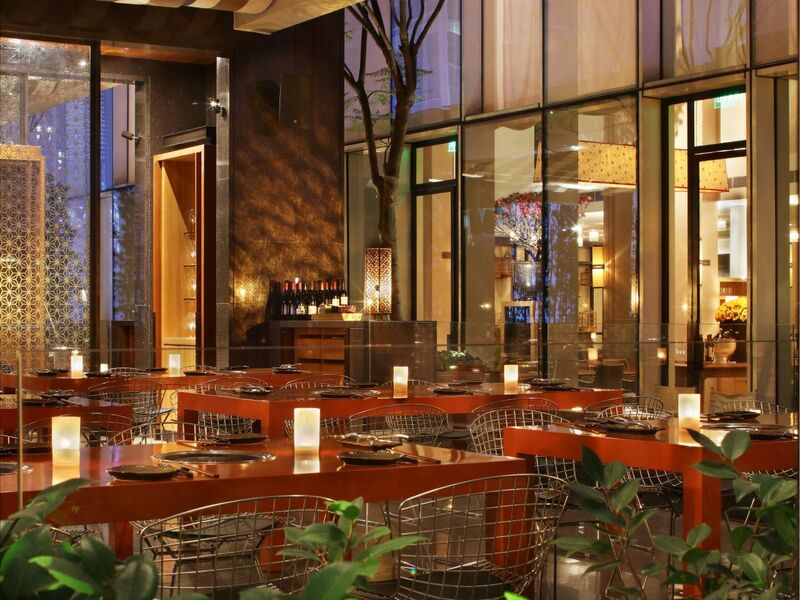 Capturing the hustle and bustle of Chengdu, BBQ is an Asian-style BBQ restaurant with an open air concept. Tabletop cooking is the key feature, serving marinated meats and seafood along with other delicacies. This busy restaurant centers on a casual cook-it-yourself concept that provides an entertaining dining experience with friends or a large group. 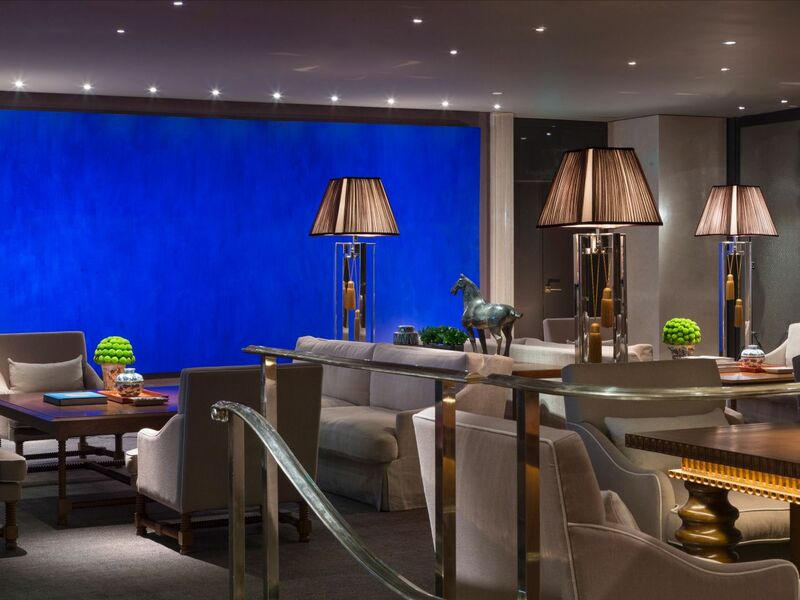 An elegant French residential-style lounge on floor 15th, Salon is the life and soul of Grand Hyatt Chengdu. With a diverse theme and a serene ambience, stepping into Salon is like stepping into the living room of a friend with an idea taste for life. Whether you’re an in-house guest or simply dropping in for a refreshing beverage or meal, it is the place to be seen and the place to relax to all-day piano performances. Busy and never dull, here one can meet friends, colleagues and business partners. As the hotel’s ‘living room’, you can relax at any time of the day whilst enjoying tea, coffee or other beverages and light refreshments. With the lights down low, the modern cabaret-style bar ‘Xi·Mi’ is the destination to drink, meet and hang out for happy hour in Chengdu. It presents three different areas with its very own characteristics: enjoy live performance in the entertainment area - Xi, sit down with a wide range of drinks and snacks at the bar - Mi, or harness the magic of the city of Chengdu as its back drop in the Maze garden, ‘Xi·Mi’ is definitely a fashionable place for both business and leisure. With exciting table-side cooking, Steak House is a European dining space that serves the ideal selection of steak, in addition to a feast of all-time favorites. Featuring traditional Western cuisine, the focus is on authentic, classic, European-inspired dishes prepared in an open show kitchen and on live cooking stations. This thoughtful combination is hugely entertaining and ensures guests get to enjoy a fun but authentic Western dining experience. 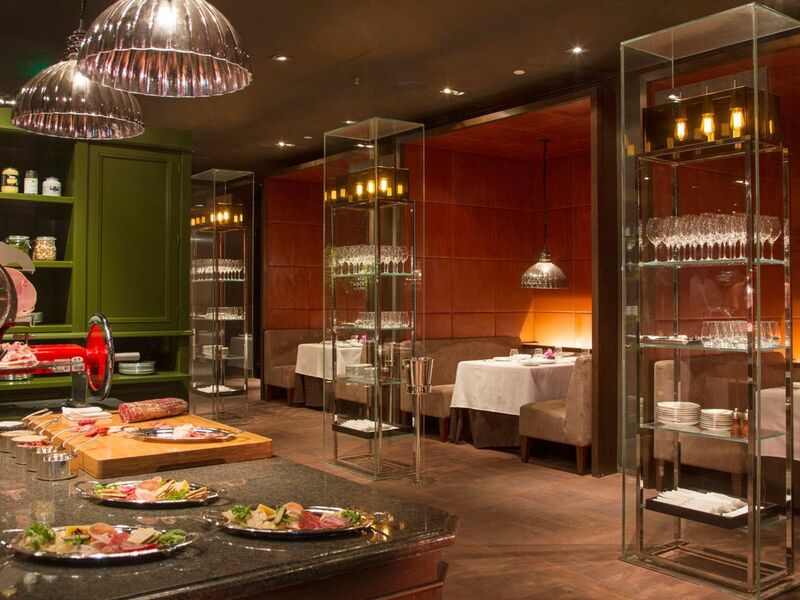 A private room with its own live cooking stations and wine cellar complete this interactive dining experience. All elements come into their own against a design backdrop inspired by a traditional European home. Kindly be informed that tank tops, shorts and slippers are not permitted. Who can resist the sweeter things in life? Running like a spine across floor 15th, French mansions inspired design, Nougat is a seductive boutique specializing in a wide range of international nougat flavors offered in different styles and packaging. An open seating area with communal seating and private booth directly linked to the boutique make this an ideal place for you to share sweet time with loved ones. A spectacular selection of global and Chinese pastries, chocolates complete a sumptuous offer.